Hello, all. 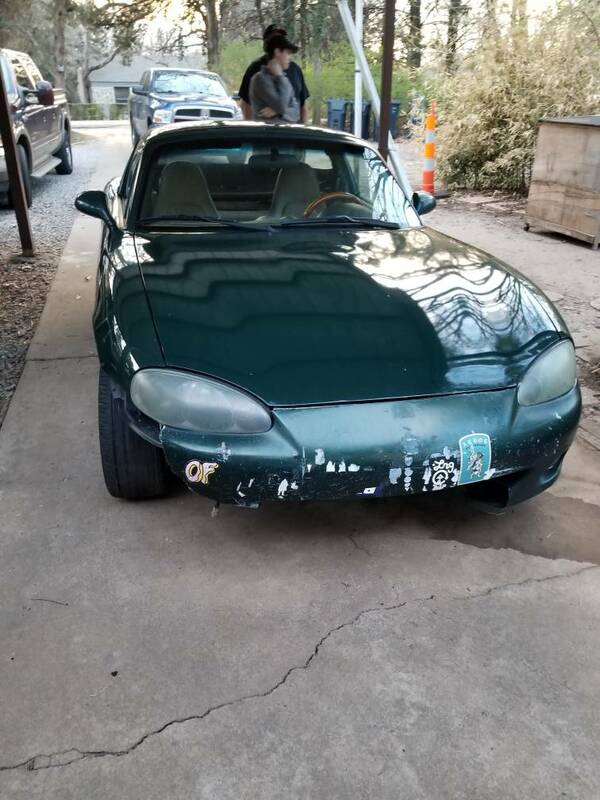 I've recently purchased a miata in rough shape and I was looking for a fun project car as I'm finally at a place in my life where I can work on one. I guess I'll start at the beginning. I purchased the car for a good deal and took it home doing 30mph. The front wheels were pointing in different directions but somehow I made it home. It looks sharp though and already has a hardtop. Just needs some love. So the front wheels were pointing in 2 different directions. I drove the car to an alignment shop only to have them turn me away because my control arm bushings were shot. Had to drive back home and hope a tire didn't pop. When I made it, the metal wire had been worm through in a spot and the tire was bulging. 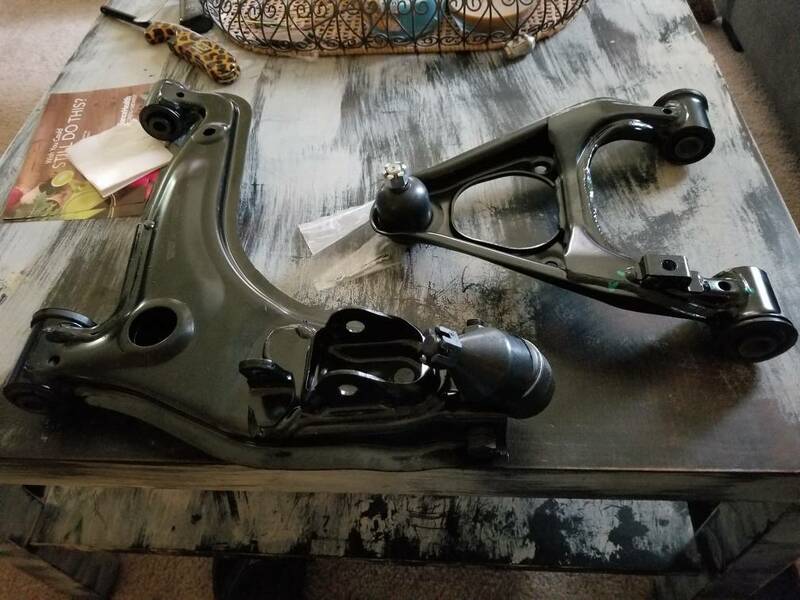 I spent the next 2 weeks replacing upper and lower control arms. I destroyed the tie rod ends getting them out so I repacked those as well. The ball joint boots were trashed anyway so it was good to replace those as well. 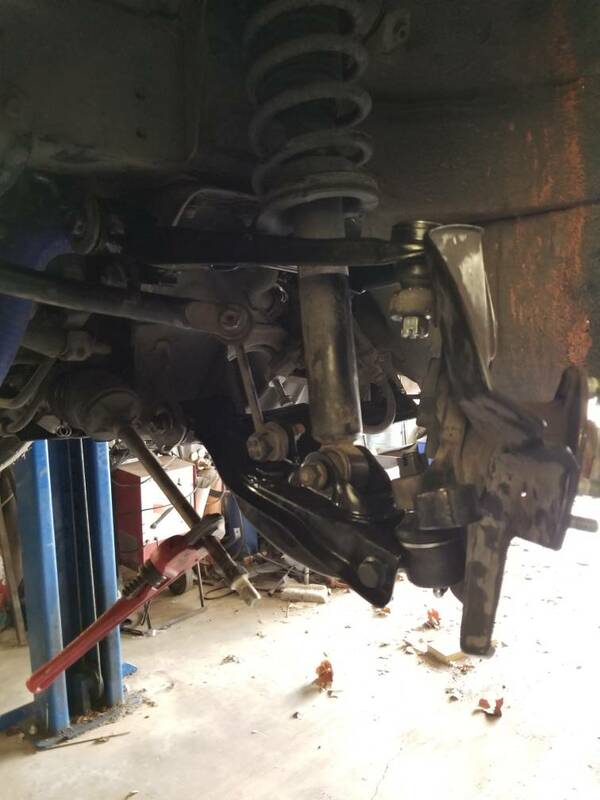 Between seized tie rods and control arm ball joints, I went through a few tools and broke some things. Coilovers will come eventually. For now, I just want to drive it straight down the road. This brings us to the current state. The front wheels are now much straighter. 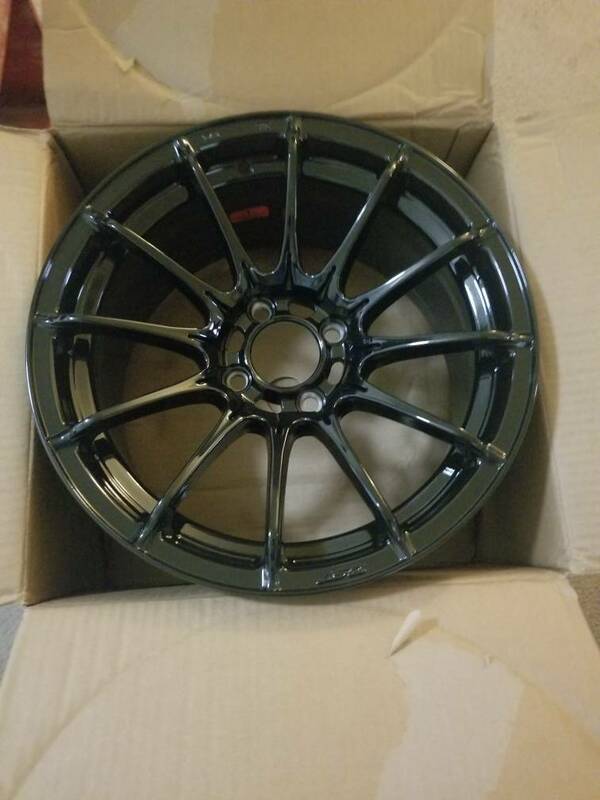 I ordered two 15X8 konig dial in wheels for now. 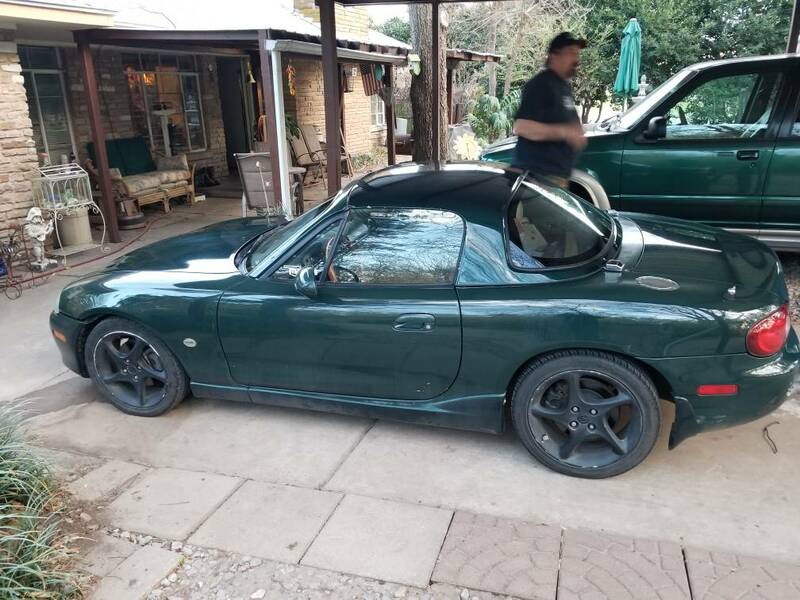 Once those come in, I'll put some tires on them and rotate my back wheels to front, new wheels to rear so I can take it to get aligned. I'll get the other two wheels in time. Too much money at once so I've got to break it up. My parking brake is still in need of repair. 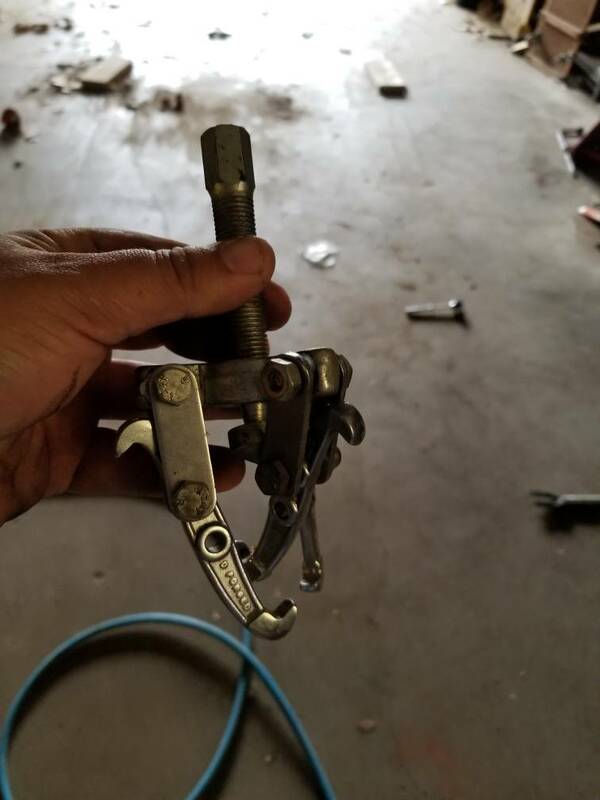 It will engage when pulled up but not lock out. I have the release button but it's not attached. I can see a thin rod inside of it but it won't reach out enough to screw in the release. 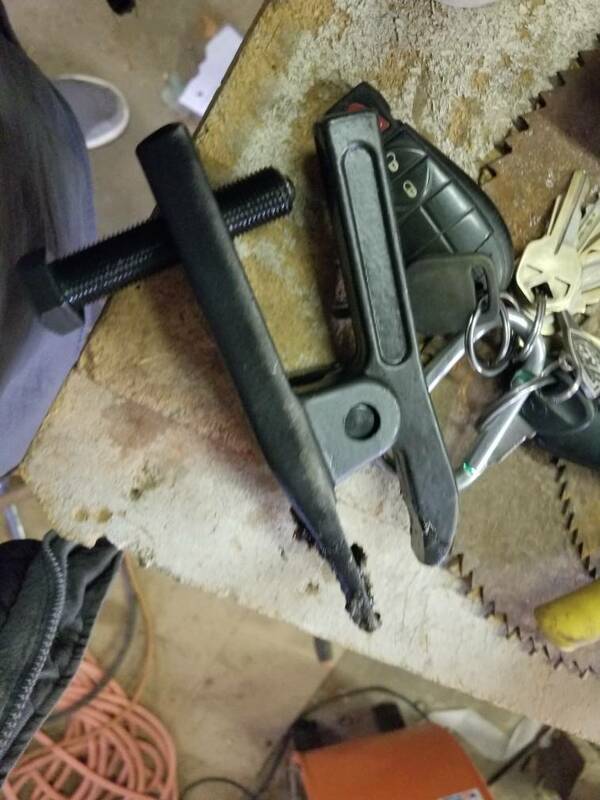 Does anyone have any experience with the handbrake assembly? I'm also thinking of removing the dash in order to remove the carpet so I can detail the car completely. The car is filthy in it's current state. I pulled the center console to follow some poorly ran amplifier cable and it was disgusting underneath. 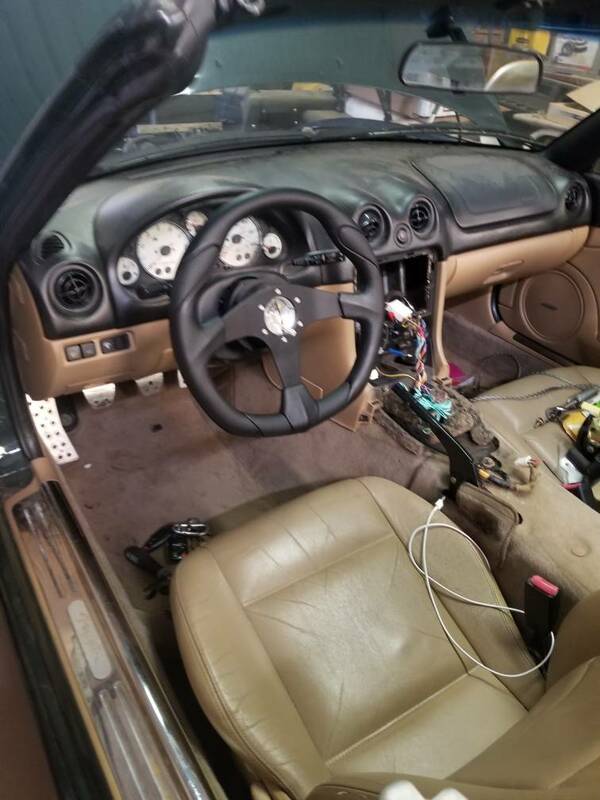 I'm sure removing the dash will be a nightmare but it will give me a chance to learn the car through and through. I'm trying to see the positive! Last edited by WingingIt; 04-01-2018 at 04:59 PM.